The school store is a school-based project where students enrolled in the career development class actively participate in school store logistics and are responsible for the day to day functions of the store. 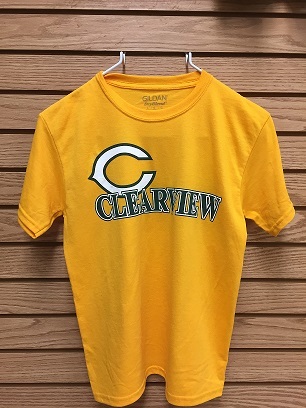 This project allows the career development students tremendous opportunities to gain valuable job skills while promoting socialization with peers and the entire Clearview community. Parents: You may order your student's gym uniforms online, or order their uniforms via gym teachers with an Order Form. Order forms can be obtained on our website or from their specific gym teacher. The order forms will be forwarded to the HS school store via inter-office mail. Please note: students who place their orders through gym teachers or main office MUST PAY with a check. 1. HS: orders will be delivered to their first period class. 2. MS: orders will be delivered to the students Homeroom teacher. The HS store (Room 102) will be open beginning MONDAY, SEPTEMBER 10TH: 8:00-2:00 for parents and students to purchase uniforms at the school. Heavy weight, short sleeve Jerzee Tee-shirt. 50/50 gold, one colored silk screened logo on front. 8 oz. 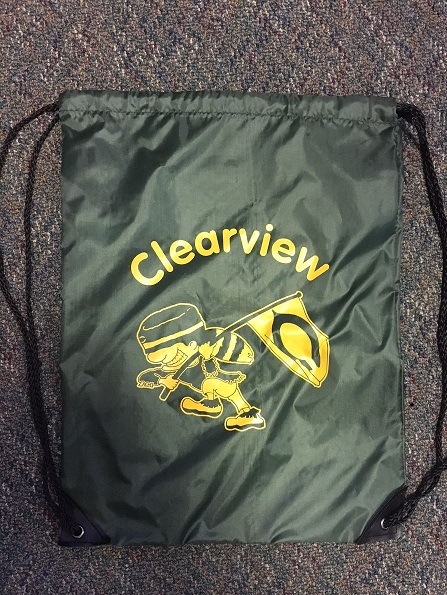 50/50 forest green and gray heavy weight pullover hooded sweatshirt, 2-color screen, “Clearview Pioneer,” logo on front. Customer satisfaction is very important to us. For health and hygiene reasons and to protect our customers, the store has a policy of no returns/no exchanges for any clothing. Items, other than clothing, returned with a sales receipt can be exchanged for an item(s) of equal value. Please check the website periodically for any updates or additions to the items available for purchase. We ask that you be patient with us during our growth and help us make this a more enjoyable site for all.